For good health, the indoor air quality plays a significant role. There are many families that rely on air purifiers for fresh and germ free air inside their house. China based Guangzhou Olansi Healthcare Co., Ltd has now introduced a Portable Home Air Purifier that is handy and remote-controlled and keeps purifying the air constantly. According to the spokesperson of the air purifier manufacturer, they have a variety of air purifiers in their portfolio and this portable air purifier is a simple and effective solution for families that want to breathe in fresh and clean air. This tabletop air purifier comes with an antibacterial filter that can effectively remove microbes, allergens and bacteria from the air and keep it clean, healthy and germs free. The HEPA filter of the purifier can block the entry of dust and fine particles in the home atmosphere. The spokesperson reveals that this China air purifier has been designed for the household use and its activated carbon filter can rapidly absorb formaldehyde, benzene and odor. Fitted with the UV light, it can also kill virus and bacteria to keep the indoor air safe and healthy for the residents of a house. The air purifier also promotes anion purification, which improves the air quality with multiple health benefits. The air purifier is available in white, blue, green, purple and cream colors with an attractive appearance to keep in the room. Guangzhou Olansi Healthcare Co., Ltd specializes in wholesale air purifier with a variety of air purifiers and air cleaners in their portfolio that they can supply in bulk to their clients all over the world. They also accept the OEM production of air purifiers to supply products that can best suit the client requirements. They keep innovating and include upgraded and advanced quality air purifiers in their stock. 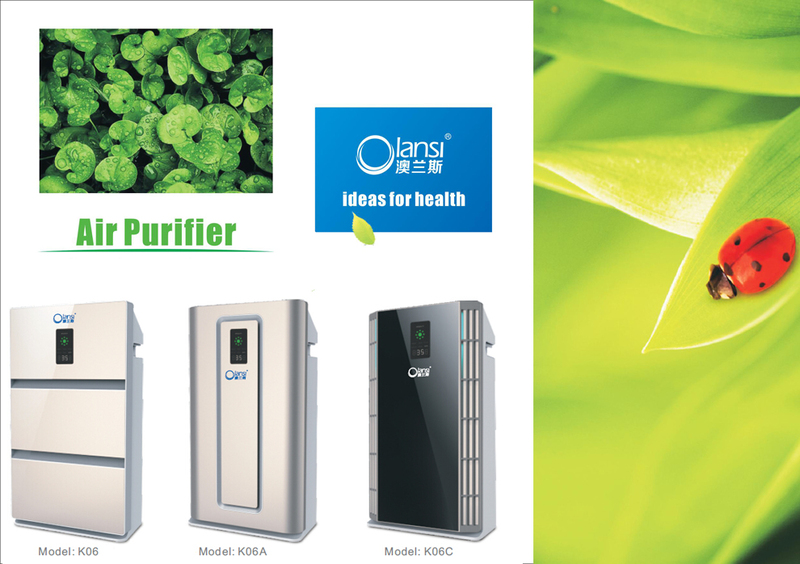 To know more about their air purifiers and air cleaners, one can visit their website https://www.olansi.net. Established in 2009, located in Guangzhou City in South China, Guangzhou Olansi Healthcare Co., Ltd is a professional air purifier OEM manufacturer. The products of the company contain air purifier, home air purifier, HEPA air purifier, ionizer air purifier, car air purifier, room air purifier and so on. All OEM air purifiers are manufactured in accordance with the CE, ROSH, and CB Certification.